A couple of days ago the temperatures here in western Massachusetts climbed to the 60s and even 70s — a brief taste of summer in dreary February! It was lovely to go out for a walk without a coat or even a sweater, though seeing a lake covered in ice while walking in shirt sleeves was a little strange. But now, as I type this, snow is coming down again. Everything's back to normal, sigh. Winter is most assuredly not over, and won't be for quite a while. 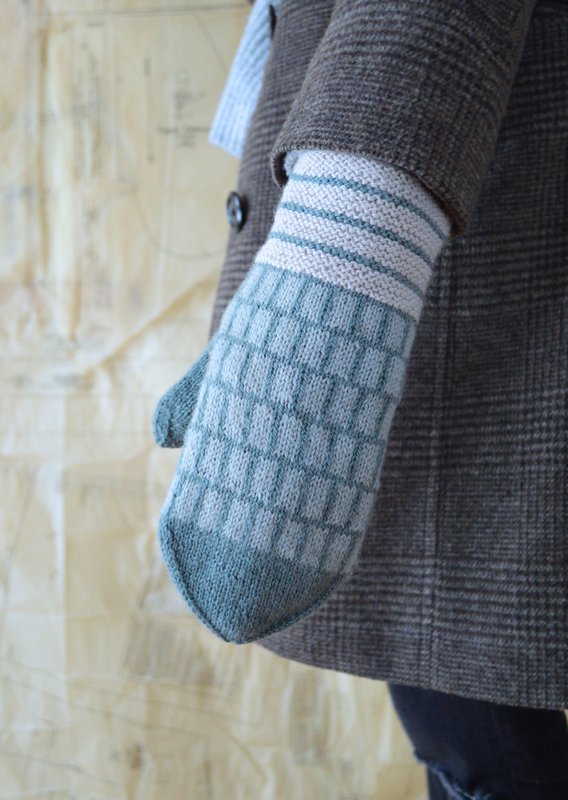 So I don't regret casting on another pair of About Town Mitts. 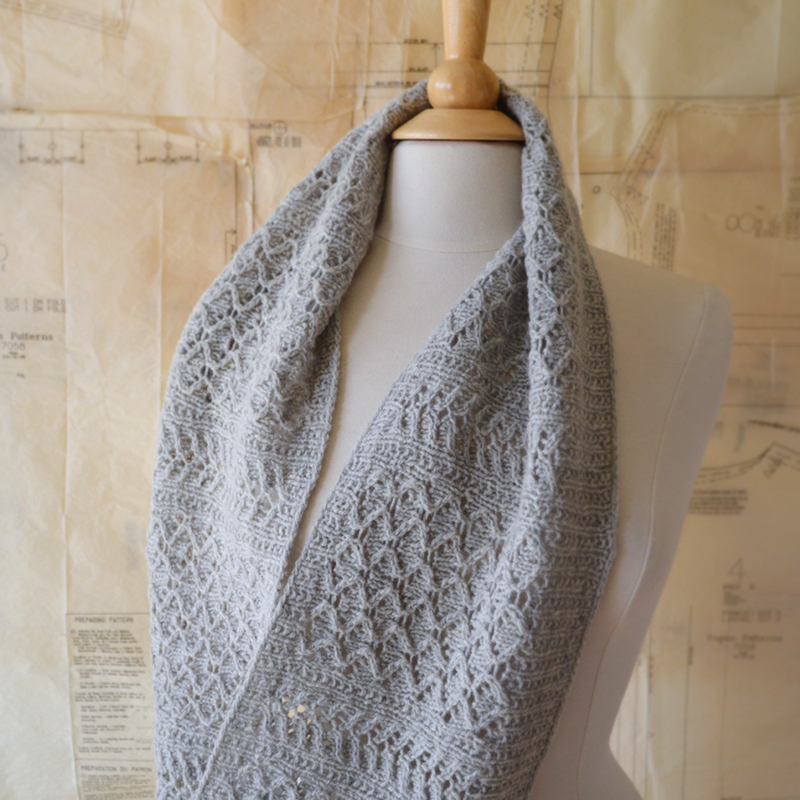 I love the originals, knit in Road to China Light, a blend of alpaca, cashmere, silk, and camel. 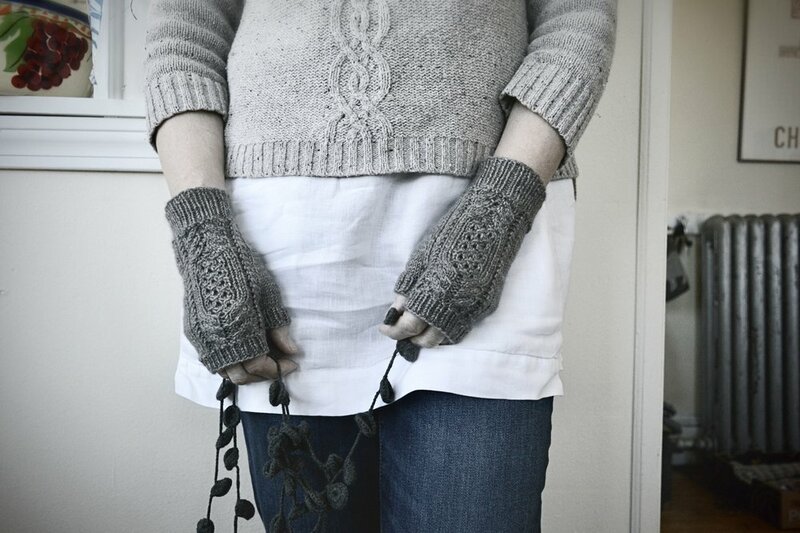 But I had a gut feeling these mitts would also look good in handspun. The Foxhill Farm Cormo/alpaca that I spun on drop spindles last summer for Tour de Fleece was just about the right weight. And I had about 200 yards — more than enough. 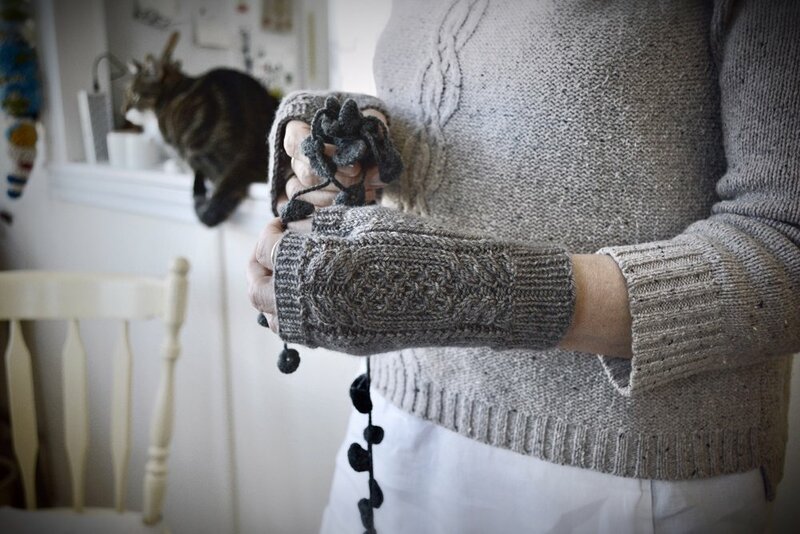 Since the yarn is a smidgen heavier than the Road to China Light, I cast on the number of stitches for the small size, in order to get a medium size. And it's worked out well — the fit is perfect! 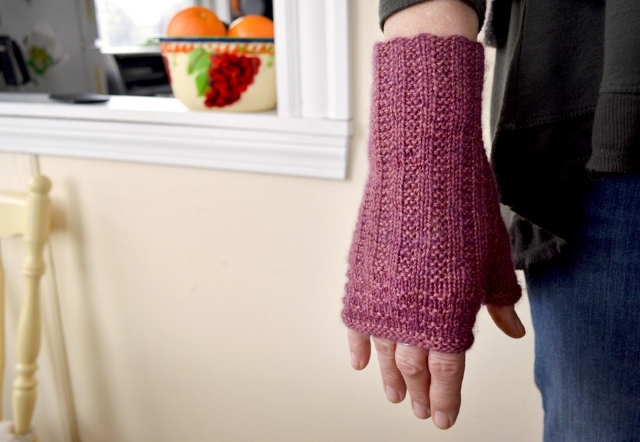 I wanted a somewhat longer cuff for this pair, so I worked three extra repeats of the stitch pattern. 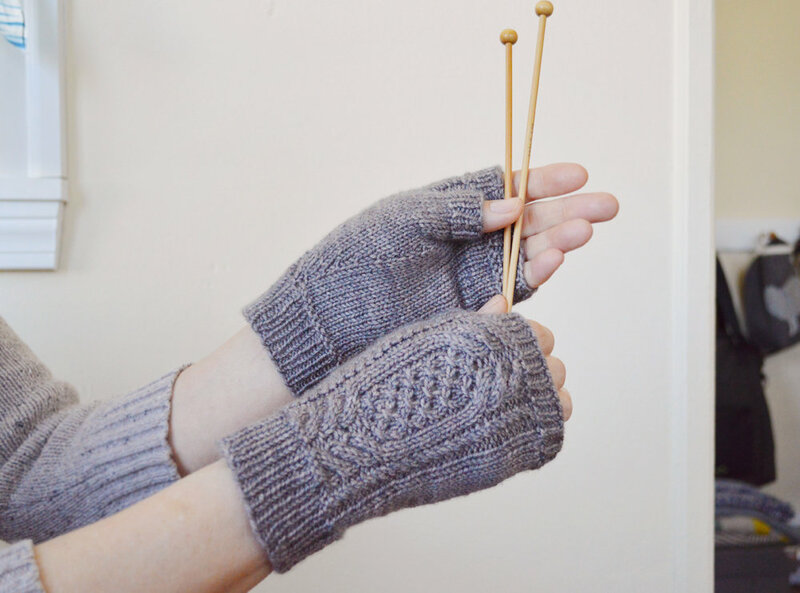 It's easy to modify the length — but do remember you'll need more yarn for longer mitts. Mitt No. 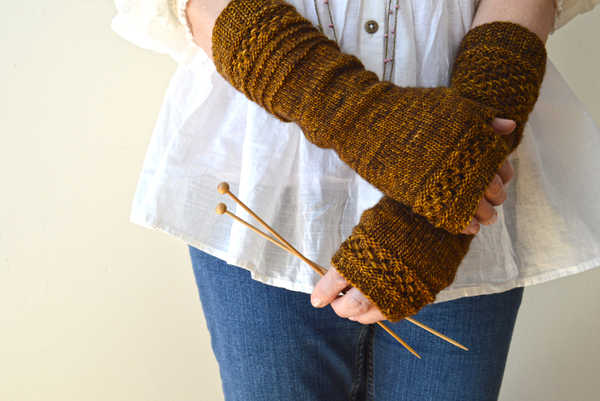 1 is already done — this is a really quick knit. I love the nubbly look and cushy feel of this handspun yarn. As a relatively new spindle spinner, I'm excited to see the fiber I bought at Rhinebeck 2016 — with happy hopes — transformed into something warm and wearable. It's a satisfying feeling and makes me want to keep spinning and continue improving my skills. 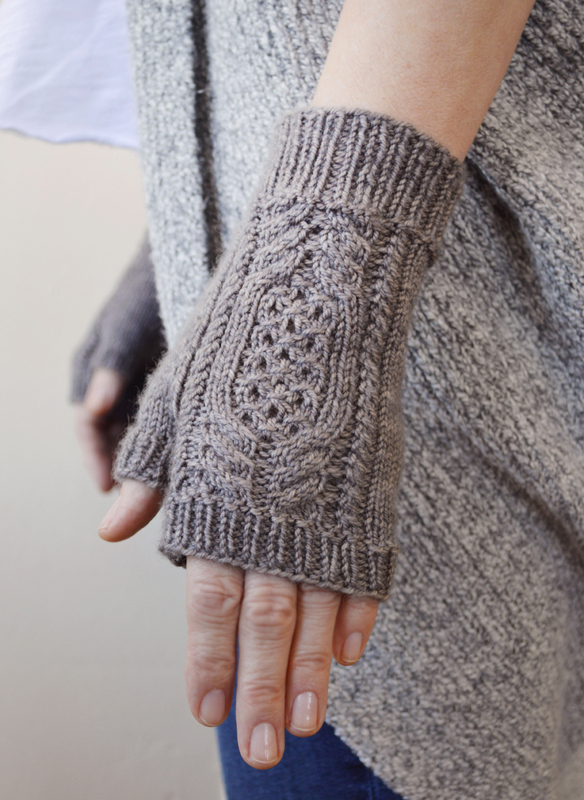 The About Town Mitts remain on sale 25% off (just $4.50) in my Ravelry pattern store through Sunday, February 25. No coupon code is needed — you'll automatically get the discount at checkout. They're on sale (same price) in my Etsy shop too, also through February 25.